All members, including Life Members, must complete a membership form, either by renewing online through the Members Area or returning a signed hard copy to the club. When renewing, it is also important to check the accuracy of your Personal Details information, especially your contact details, and update if necessary. This information enables the club to communicate with you. You can also view your awards and patrol hours from this screen. Step 4: Check that the personal details below are correct, then submit your request. Please note that as any transfer between clubs needs to be approved by both the club they are joining and that which they are leaving, a transfer is not instantaneous. If you have any questions or would like to know the status of your transfer, contact your current club or our administrator at [email protected]. 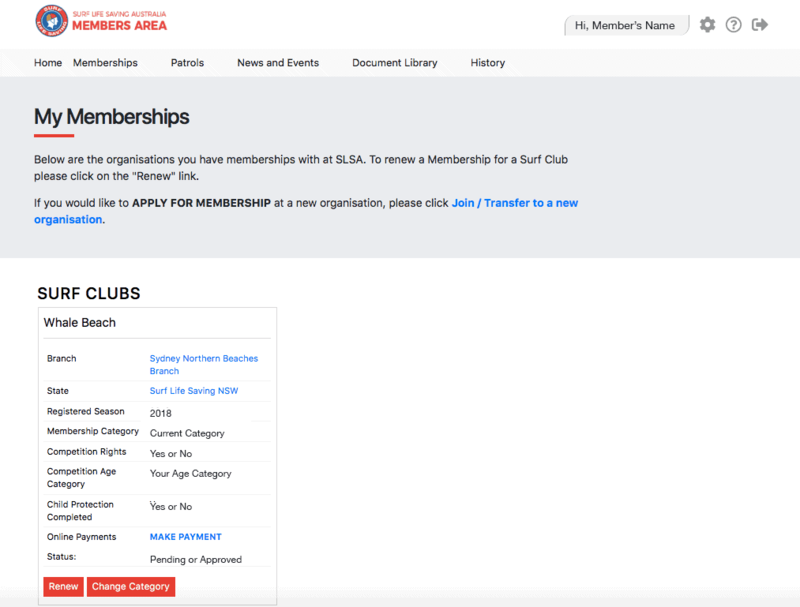 Whale Beach SLSC now also offers a membership tier for families, making it cheaper and easier for family groups to renew! Family memberships are for two adults and unlimited children under 18 years old. Read more about it on our Membership Types page, or contact the Club Administrator for more information at [email protected]. Step 5: Once the Family Group has been created, the Primary Contact can renew the membership of all the members in a single transaction by selecting ‘Family Membership’ in the payment portal. *Please note: Family Groups must be approved by the club. Until this point the Family Group status will be listed as ‘Pending’, however the Primary Contact will still be able to pay for membership as a family. If you have any questions regarding the membership, education & training or about how to become a lifesaver, get in touch with one of the key individuals below, or head to our contacts page for the full list of club officers.